A good many of you know, and were part of, the bounty of Wes. Area 40 (a name which I'm a little afraid to ask about) was the name of the blog where Wes bid adieu to the blogging game and gave away a whole lot of cards to the good folks of the blogosphere. Gave me a boat load of minis, which aren't my cup of tea. Love me some 69s!! 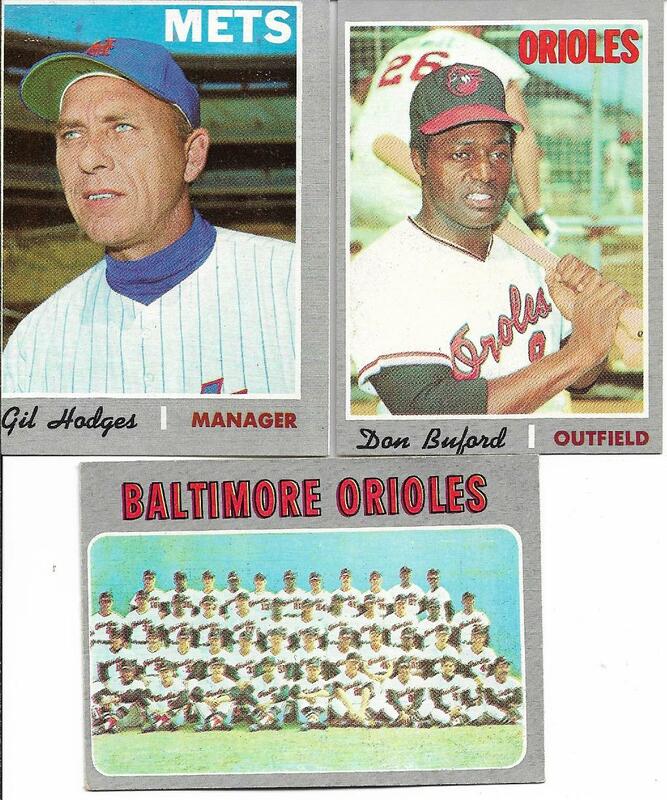 I had no idea that Amos Otis started out with the Mets. I only ever knew him as a KC Royal. 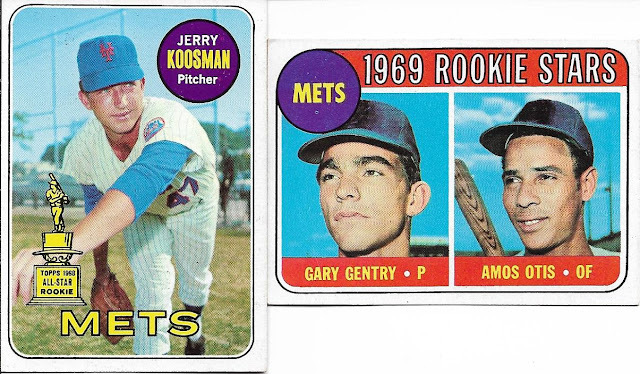 Not all commons here, as names like Alomar, Aparicio and Koosman (2nd year) found their way here. All 4 of these sets are a long way from completion, but each little chip in the armor is always great to see. 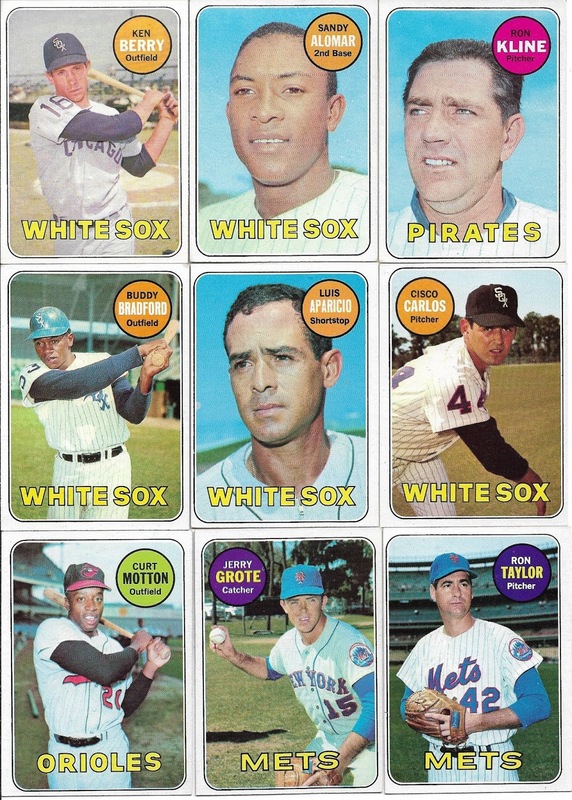 '69 completion total: 178 cards, just over 26% done. This could possibly be the worst scan ever. No matter, as I'm 3 cards closer to a set that I never really intended to start putting together several years ago, but now I'm closing in on the 50% mark. 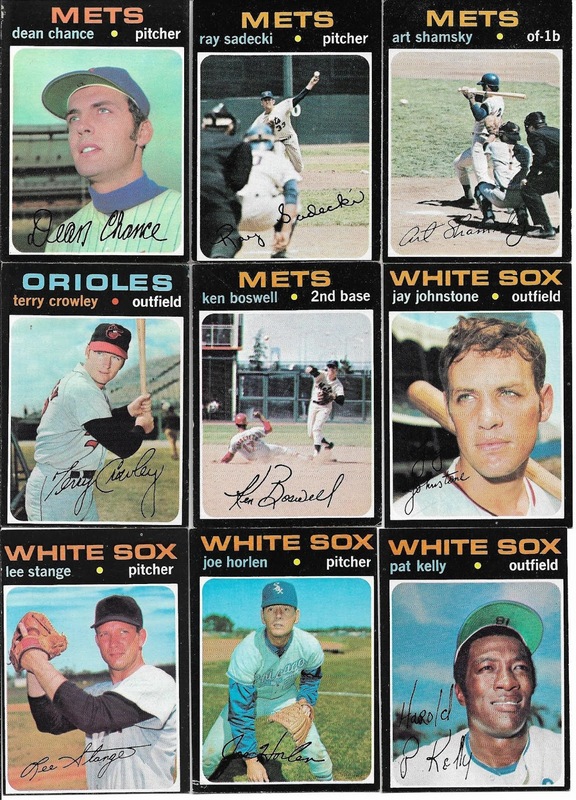 This is more of a general statement than a slight at Bill or anyone else out there, but when you trade for '71 Topps cards, you just never know what you'll get. I've made some trades where cards were fine enough, but they definitely showed their age. Know what I mean? 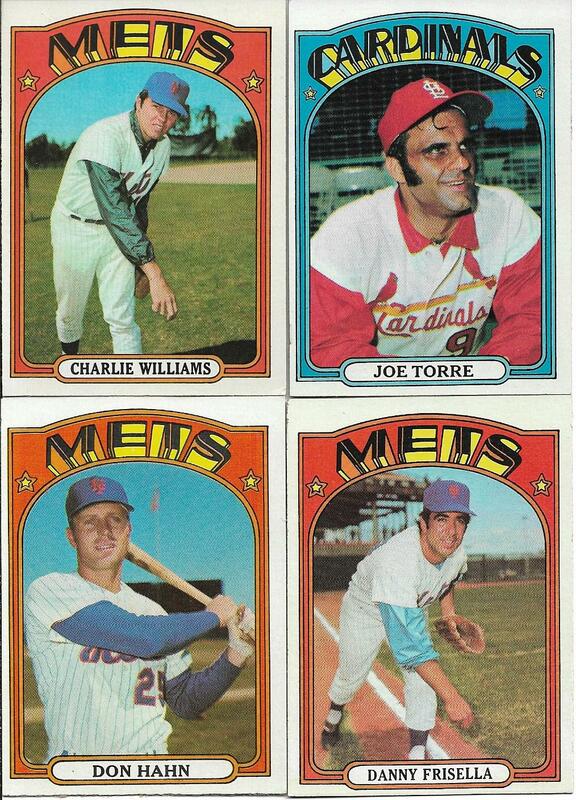 These '71s are wonderful. 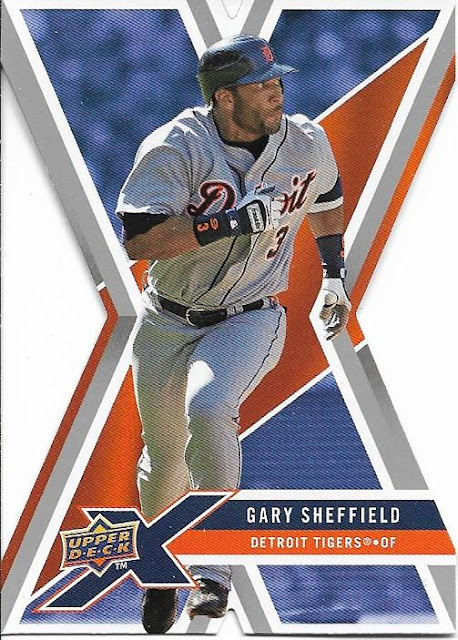 Clean, sharp corners, almost look as if they just came out of a pack! It's also cool that I got Robert Barone's favorite player in this group of 9 (kudos to you if you know who it is). Bill, thank you for the trade, the cards are greatly appreciated!! Oh, yeah, Amos Otis was a Met, but we desperately needed a third baseman, so we traded him for Joe Foy. Then when THAT didn't work out, we traded Nolan Ryan for Jim Fregosi. Such dealmakers we were! Great cards! 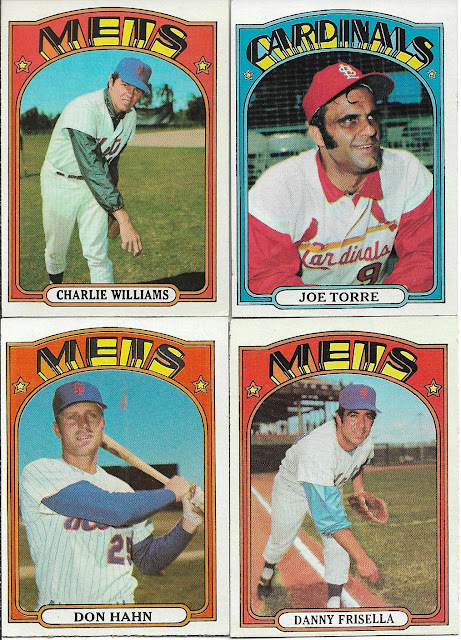 I have a '71 Torre but not a '72. What a monster season he had. Three or four more of those and he would have been in the HOF as a player.